Government has launched 5,000 Wi-Fi Choupals in villages and delivery of rail tickets through Common Service Centres (CSCs). The WiFi Choupals will enable people in rural areas with an effective Internet access for their various digital processes. The move is aimed at transforming rural Internet connectivity through BharatNet. Piyush Goyal, Minister of Railways & Coal, launched two mobile apps, namely, Rail Madad and Menu on Rails. These apps are in line with the ‘Digital India’ initiative of PM Narendra Modi. It relays real-time feedback to passengers on the status of redressal of their complaints and the passenger gets an instant ID through SMS on registration of complaint, followed by a customised SMS communicating the action taken thereon by Railways. RPGRAMS integrates all the passenger complaints received from multiple modes on a single platform, analyses them holistically and generates various types of management reports. It identifies weak areas and laggard trains/stations for undertaking focused corrective actions. Minister of State for External Affairs V K Singh has flagged off the 1st batch of three-month-long Kailash Mansarovar Yatra-2018 in New Delhi. The Yatra will continue till the 8th of September 2018. There are two routes for the Yatra, one through Lipulekh Pass in Uttarakhand which involves some trekking also. India's Gaurav Bidhuri has settled for a bronze medal in 56kg after going down in the last-four stage of the Umakhanov Memorial Tournament in Kaspiysk, Russia yesterday. World Championships bronze-medalist Bidhuri lost to Kazakhstan's Siroshiddin Abdullayev in a split 2-3 decision, rounding off a fine campaign in his comeback tournament after being out due to a back injury. 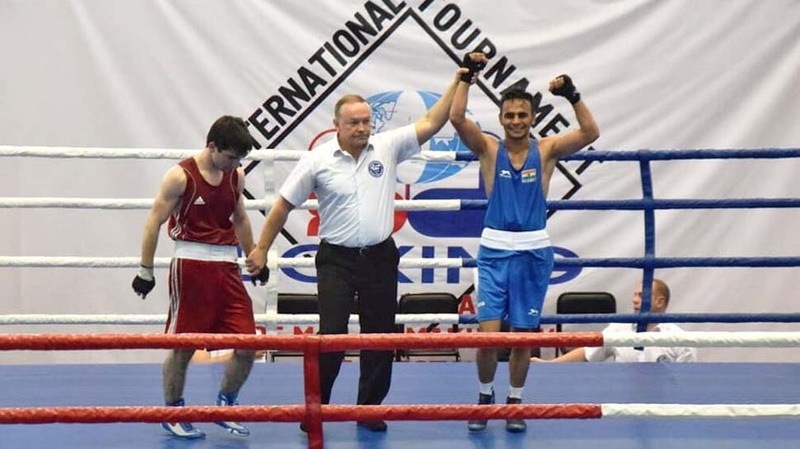 Two Indian boxers Brijesh Yadav (81kg) and Virender Kumar (91kg) have advanced to the finals scheduled for today. While Yadav out-punched local favourite Abdulla Nazhmudinov, Kumar got the better of Azerbaijan's Gulguseyn Agazade to make the summit clashes. Among the Indian women, only Saweety Boora (75kg) has made the final. India have lifted the Intercontinental Cup football title. In the summit clash in Mumbai last night, they defeated Kenya 2-nil. Both the goals were netted by skipper Sunil Chhetri. He gave India the lead in the eighth minute before scoring the second goal in the 29th minute. Sunil Chhetri has became the joint second highest international goal scorer among active players along with Argentine superstar Lionel Messi with his 64th strike for the country against Kenya. 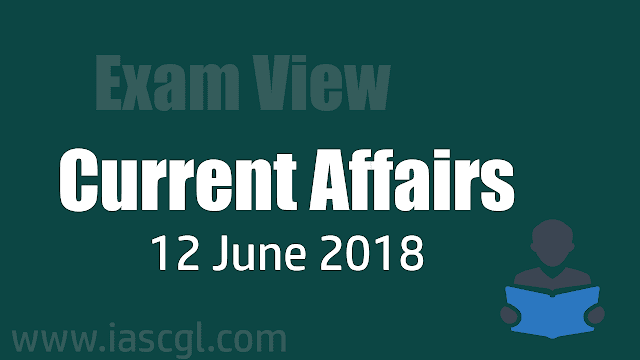 Arvind Saxena has been appointed to serve as the acting Chairman of the Union Public Service Commission (UPSC) from June 20, 2018. The announcement was made through a government order, which read that Saxena will perform the duties of the post of Chairman, UPSC with effect from June 20 till further orders or till completion of his tenure on August 7, 2020. Saxena, a UPSC member, would be succeeding incumbent Vinay Mittal who completes his term on June 19. Arvind Saxena is a 1978-batch Indian Postal Service officer. He worked as Divisional Head of Postal Services at Bharatpur and Kota, covering the districts of Bharatpur, Dhoulpur, Kota, Jhalawar and Baran in Rajasthan. He was brought to Delhi in 1982 to take over as Officer on Special Duty, in-charge of arrangements for postal services for the IX Asian Games and the 7th Non-Aligned Summit Meet. 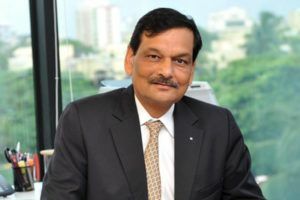 He was posted as Director, Mail Planning Operations at Bombay, looking after mail arrangements in the states of Maharashtra, Gujarat and Madhya Pradesh before being selected as Principal of the prestigious P&T Training Centre at Saharanpur, U.P. Served in five countries and Jammu & Kashmir, he travelled extensively, attaining domain specialisation in developments relating to China, Pakistan and other regional countries as well as economic, military, international terrorism and supply and transport issues. Scientists have developed a new technique called seqFISH that enables them to image 10,421 genes at once within individual cells. seqFISH (sequential fluorescence in situ hybridisation), is a major advance in being able to identify what goes on across the genome in hundreds of different cells at once. First, a gene will be read and copied into a precursor messenger RNA, or pre-mRNA, like jotting a quick, rough draft. This molecule then matures into a messenger RNA, or mRNA, akin to editing the rough draft. During the "editing" process, certain regions called introns are cut out of the pre-mRNA. Central Electro Chemical Research Institute (CECRI), Karaikudi, Tamil Nadu and RAASI Solar Power Pvt Ltd have signed a Memorandum of Agreement for transfer of technology for India’s first Lithium Ion (Li-ion) Battery project. CECRI is under Central Science and Industrial Research (CSIR). It has secured global IPRs with potential to enable cost reduction, coupled with appropriate supply chain and manufacturing technology for mass production. India is one of the largest importers and in 2017, it imported nearly 150 Million US Dollar worth Li-Ion batteries.